Smith Mountain Lake's Most Popular Event! 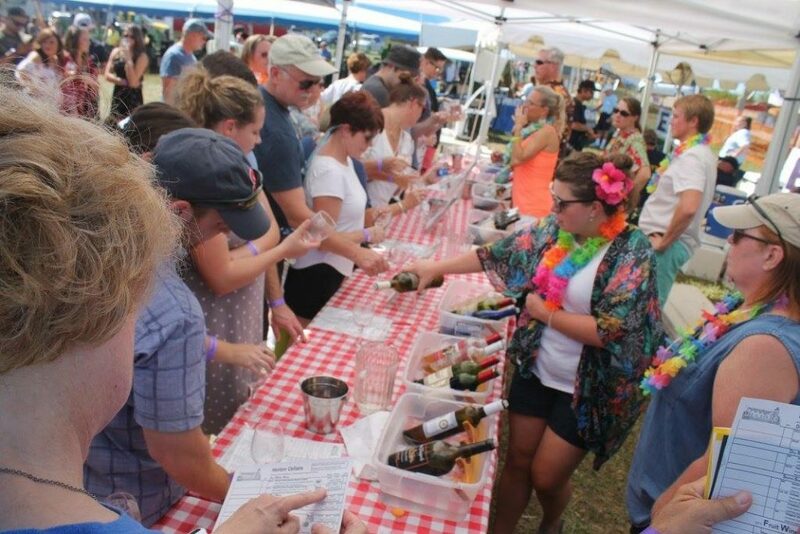 The Smith Mountain Lake Wine Festival takes place the last weekend in September each year and regularly draws crowds of more than 11,000 to our beautiful lake. 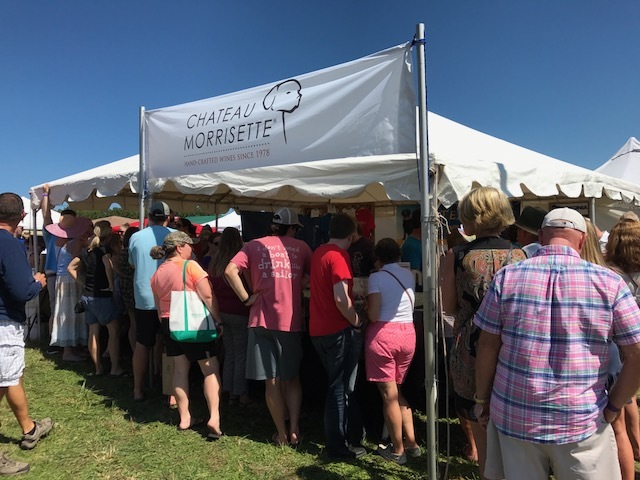 In addition to nearly 30 Virginia wineries, SML Wine Festival visitors can peruse the booths of dozens of quality artisans, as well as craft and food vendors. Both days feature live music with plenty of room for dancing. In recent years, the festival has welcomed a limited number of craft breweries and distilleries, too. TIMES: Saturday, 11 a.m. to 6 p.m. and Sunday 11 a.m. to 5 p.m. LOCATION: Crazy Horse Marina, 400 Crazy Horse Drive, Moneta, VA. Get directions. 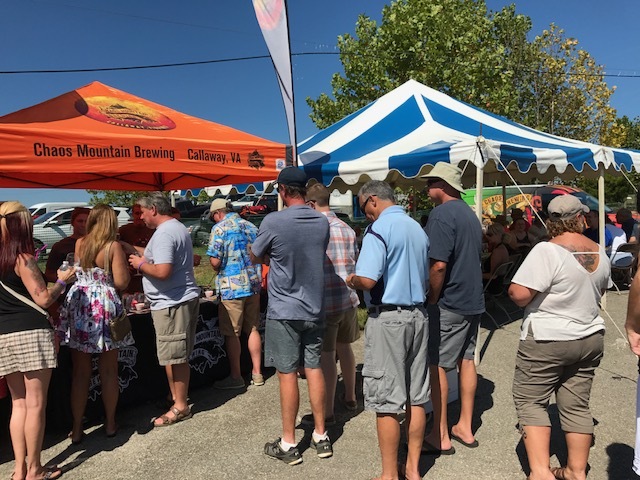 The applications to participate as a vendor or sponsor at the 2019 Smith Mountain Lake Wine Festival are found below. Check back soon to purchase advance tickets. Skip the line and save money by purchasing tickets online in advance. Saturday is traditionally the busier, rowdier day of the Festival. Sunday is a quieter and offers more opportunity to speak personally with winemakers. Advance tickets are good for either day (but may only be used once). Parking is free. Virginia law requires us to check the ID of everyone who enters the festival, regardless of age. Don’t forget your photo ID! The festival takes place outdoors, rain or shine, so check the weather and dress appropriately. Bring your own blanket and/or lawn chair. Leave your coolers at home. There are plenty of food vendors offering a variety of tasty fare! You can purchase wine from the vendors, and most offer discounts on multiple bottles. The festival offers a free wine pick-up service where you can buy wine and have a volunteer transport it to a holding area near the exit for when you’re ready to leave. Last but certainly not least, line up a designated driver. Non-tasters can enjoy the food, atmosphere, live music and craft vendor booths for a discounted ticket price. The first Smith Mountain Lake Wine Festival took place in 1989 on the grounds of The Manor at Taylor’s Store B&B near Burnt Chimney. The event was the brainchild of Taylor’s Store owner Lee Tucker and Phil Hager, a local insurance agent and wine enthusiast. Both men were frustrated with the lack of access to Virginia wine in the area. Hager, an active member of the organization that would become the Smith Mountain Lake Regional Chamber of Commerce, also was looking for ways to bring more visitors to the lake area after the traditional tourist season ended. Read more here. 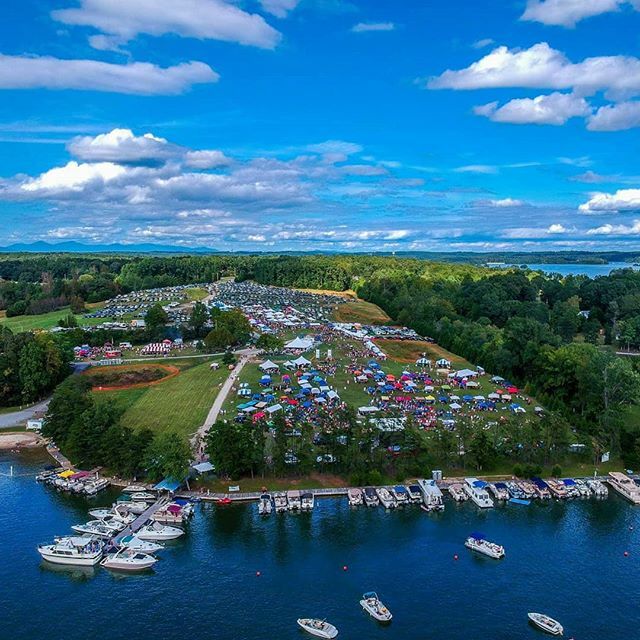 Over the past 30 years, the festival has grown from a relatively intimate gathering into Smith Mountain Lake’s largest and most popular annual event. The early years featured a grape-stomping booth and educational talks about wine tasting, drew crowds of 800-1,200, and barely broke even. 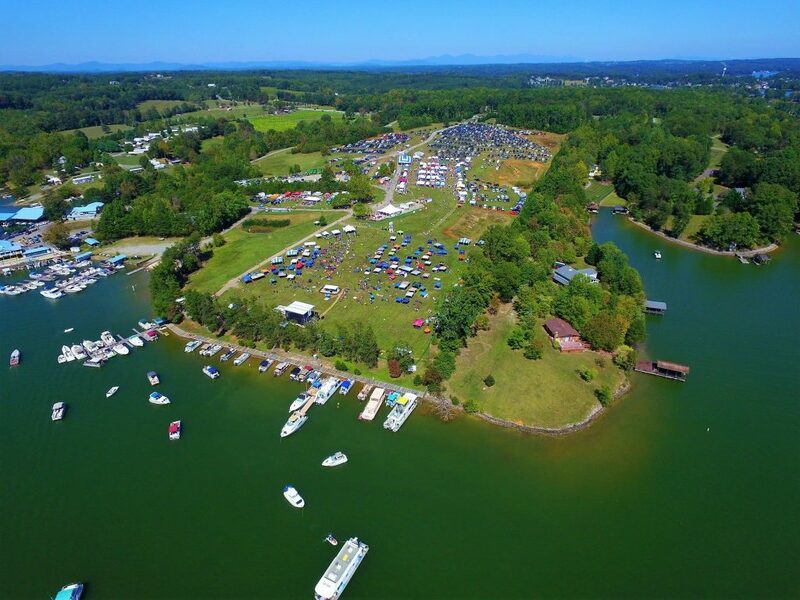 The Chamber took over the festival in 1992 and moved it to Bernard’s Landing, a more spacious and scenic venue right on the shores of Smith Mountain Lake. When space became an issue again the event moved to LakeWatch Plantation. In 2016, the 50th anniversary of SML, it found a new home at Crazy Horse Marina – where patrons can arrive by car or boat. It is now the Chamber’s largest non-dues fundraiser with proceeds used to grow and develop programs to promote tourism and business in the lake region. It takes year-round planning by a dedicated corps of staff members and volunteers to pull off an event with such complicated logistics. 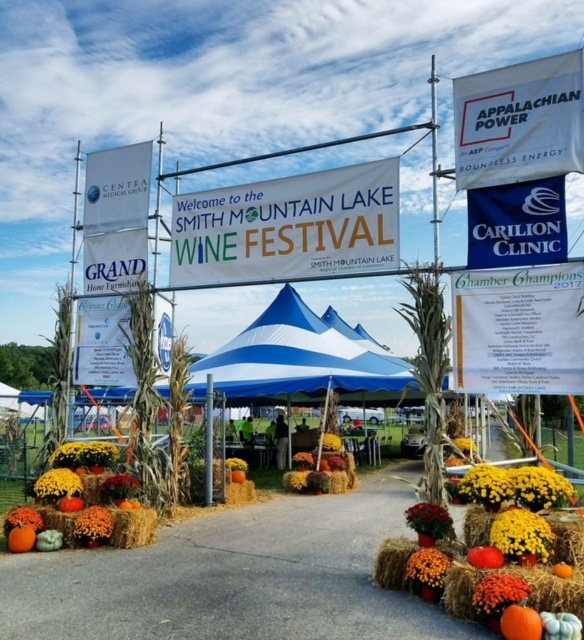 Awesome wine, craft and food vendors and amazing music and breathtaking views of Smith Mountain Lake makes for the perfect way to spend a fall afternoon. We have a great time while getting the job accomplished. In 2018, we had 324 volunteer positions filled over the two-day event.